Image Viewer is an easy way for you to view your images. We've also incorporated over 150 different high end effects and filters features. This version also has composite print feature that allows the user to print high quality images in a large number of ways. A. 45 distinct file format on are supported. B. Special effects. Blur, chroma key, diffuse, emboss, motion, pixelate, posterize, spotlight, stitch, texture, twist C. Standard image modifications. Anti-aliasing, aspect, auto crop, auto orientation, brightness, clean border, color (increase, decrease), contrast, edgemap, despeckle,dithering, equalize, gamma, grayscale, invert, sharpen, smooth D. Copy, Paste, and Cut to make it easier to place images into other applications. 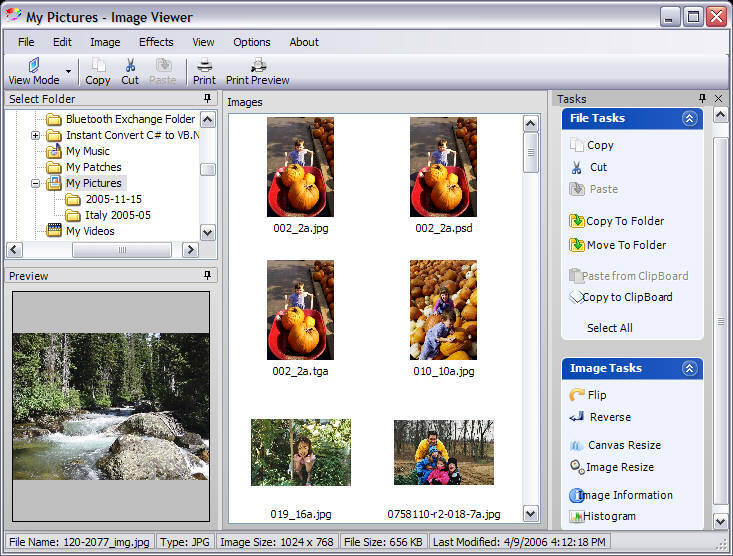 E. Twain driver support, that allows you to directly scan or download images directly from your digital camera into the Image Viewer.